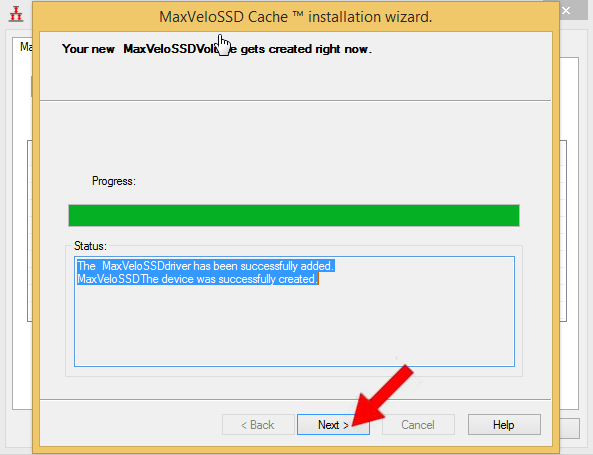 MaxVeloSSDâ¢ allows very flexible and easy cache creation. Here we will add a cache for the boot volume ( C: ). 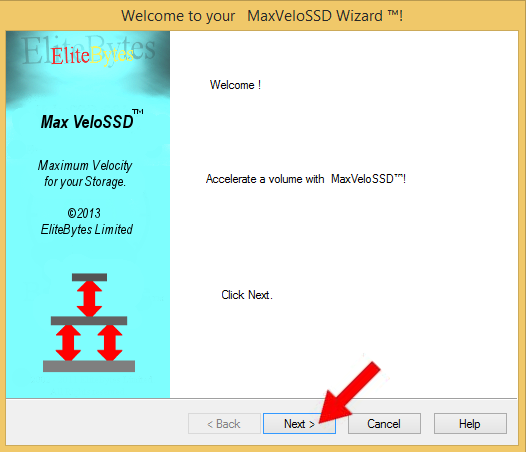 To begin your SSD needs to be formatted with NTFS. A drive letter is not necessary. Instructions on how to accomplish this are given in a separate chapter below. 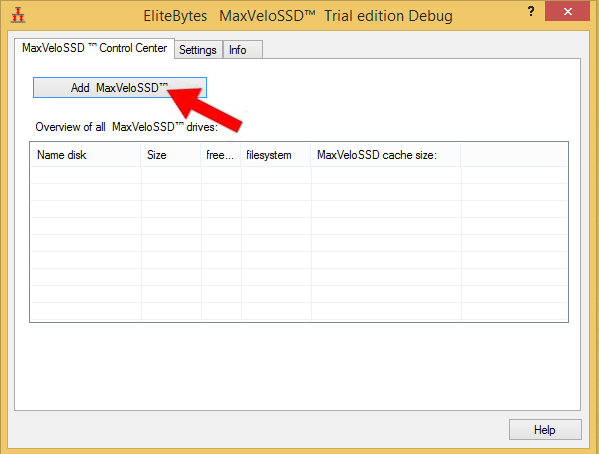 Click on the âAdd MaxVeloSSDâ button to start. 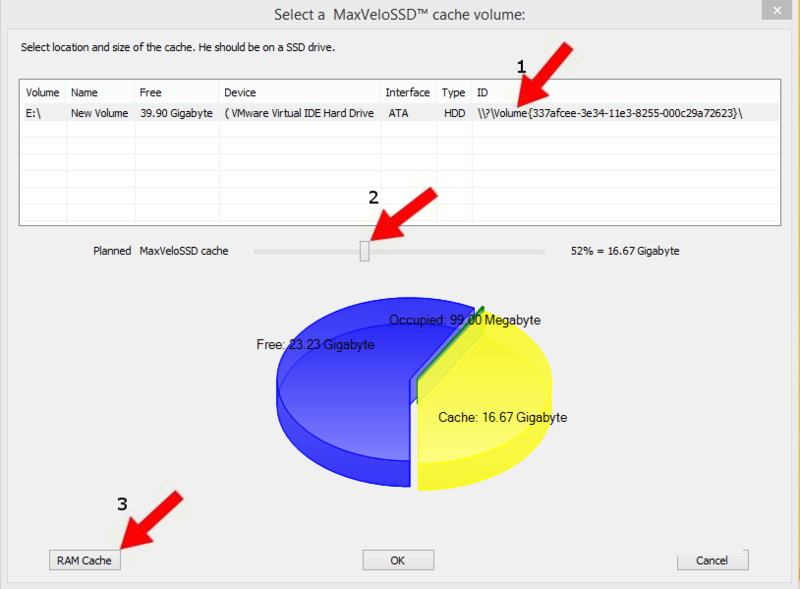 Select the host volume you want to be cached. Here it is the boot volume âC:â. Click âNextâ to proceed. 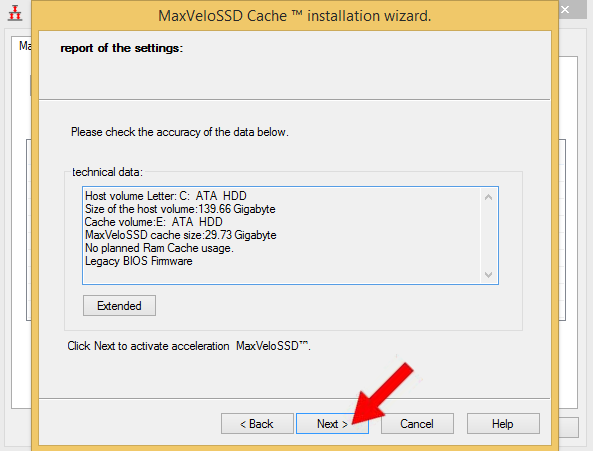 Select the SSD volume you want to use for the cache file. If you can not find your SSD, please make sure it is formatted and has at least 8GB free space. Then adjust the size of the cache. 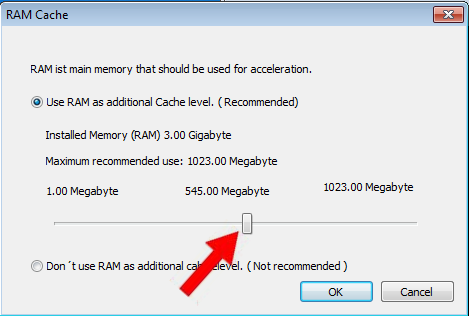 Click the âRAM Cacheâ button to change the default values. You can change the RAM Cache settings later when the Cache is online. 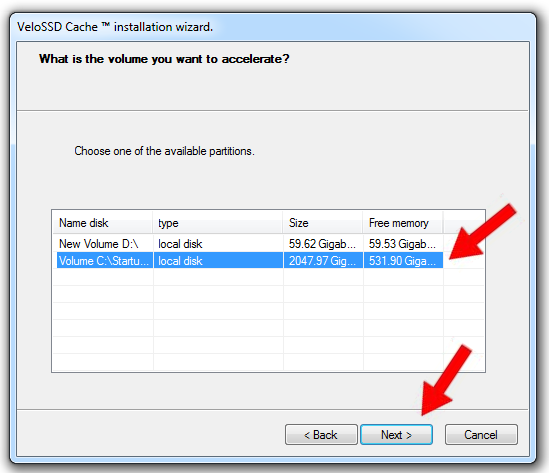 Use the slider to adjust the amount of RAM that will be used as RAM Cache. Then click OK.
Validate your settings. When you click âNextâ the creation takes place. It takes a few seconds then the cache is created. Click on âNextâ to proceed. Volume C: is a boot volume,a restart is required now. Non boot volumes donÂ´t require a reboot. The caching will start immediately, without disruption of the computer. Starting with the reboot the caching begins. Acceleration of boot time is available with the following start. This is also true for applications. 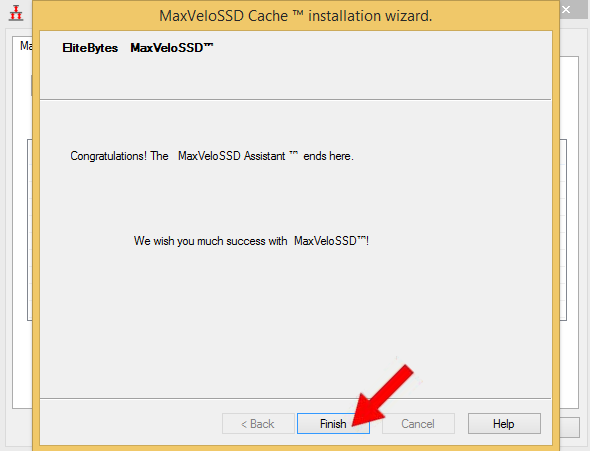 For instance if you start an application that normally takes 60 seconds to start you will experience it to start in 6 seconds with MaxVeloSSDâ¢.